In 2018, Trout Tuesdays launched with the goal to help more Latino families learn to fish and utilize the valley’s world-class waterways. The project was conceived by Wyoming Game and Fish, World Cast, Snake River Fund, Orvis, Teton Science Schools, and the Jackson Hole Land Trust. Every Tuesday in June 2018 from 5-8 PM, families had access to bilingual fishing guides to learn the basics of fishing in the safe, intimate setting of R Park. Many visitors travel to Jackson Hole to fish, and this program will allow locals to be part of the long fishing culture of the valley. 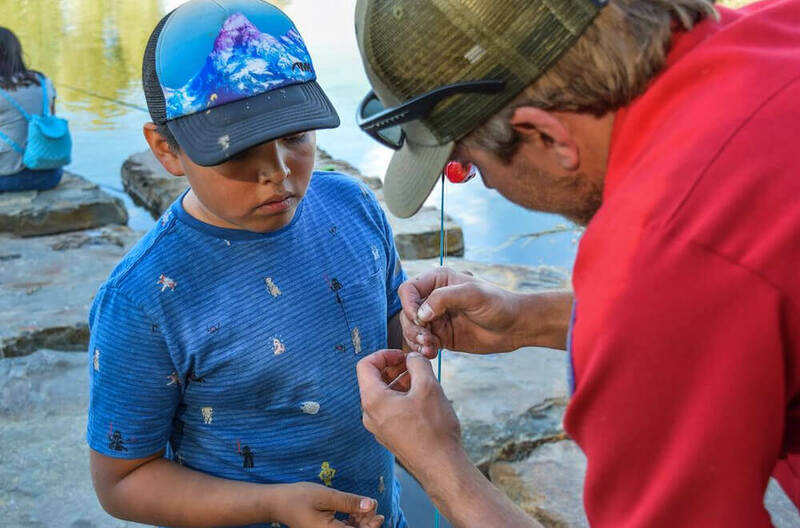 As inclusion and diversity comes to the forefront of outdoor movements, the Jackson Hole Land Trust, Wyoming Game and Fish Department, and partners teamed up to expand the success of Kids Fishing Day to the greater Jackson Hole community.